O my God, every morning is fresh and lovely as if You, the Artist, stayed up all night just to surprise us. The trees, with lush greenness, shifting shadows and sunshine, shout, “Hallelujah!” OMG, borrowing Your air, I just have to join in. 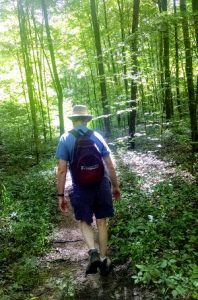 This entry was posted in OMG Prayers and tagged Faith, Forest, God, Humor, Nature, Outdoors, Prayer, Rachael O. Phillips, Summer on July 17, 2017 by rachael.